One of my all-time favourite cozy mysteries series is K.J. Emrick's Darcy Sweet Mysteries. It is an awesome small town, supernatural mystery series with wonderful characters and I just love it. 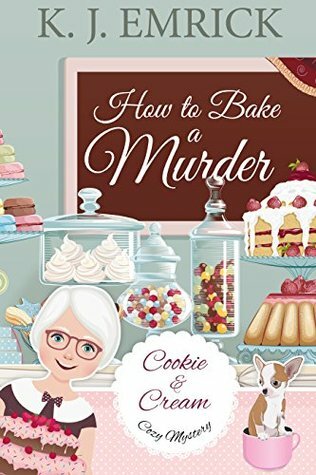 I was super excited to read How to Bake a Murder; the first book in a new series from this amazing author. After reading How To Bake A Murder, I am really looking forward to reading more about Cookie, Jerry and everyone else. Cookie owns and runs the ‘Kiss The Cook’ bakery on her own, and she loves it. This place is not just a business to Cookie, it's her home. So when someone dies in her bakery and another person is trying to make her sell, Cookie is determined to keep her bakery running. Clarissa is Cookie's 16-year-old granddaughter. She is sassy, sullen, and she loves trying everyone’s patience, but when someone threatens her grandmother, look out, Clarissa shows what she is really made of. Jerry, one of the local police officers, calls into 'Kiss The Cook' bakery every day. He loves grabbing his coffee and bagel before work; he also loves getting a smile from Cookie. Jerry is a little smitten where Cookie is concerned. It's really cute and seriously made me feel good about falling in love at any age. I love how Cookie is so passionate about her bakery, I also love how even though she has had her heart broken before she is also willing to let Jerry in. I am not a fan of her best friend Jamie. She seems like a horrible person, and Cookie deserves friends who stick by her, not stab her in the back the minute she turns it. The mystery was brilliant. The killer really did his research, and if it wasn't for some smarter people like Cookie and Jerry, he may have gotten away with it. Talk about dastardly plots with lots of twists and turns! The ending was brilliantly nail biting. The story as a whole was well balanced and an absolute pleasure to read. Elisa Hordon, reviewer. Elisa lives in the Southern Highlands of NSW, Australia where she spends her days reading, journaling, painting, cooking and homeschooling her daughter. She has always been an avid reader, Elisa loves reading many genres of books except horror; her favourite genres would be mystery, romance, and paranormal. Elisa also loves pursuing many creative outlets if she is not relaxing with a book she can be found writing, sketching, painting or cooking. Elisa loves to share her obsession with books especially with her family and friends. 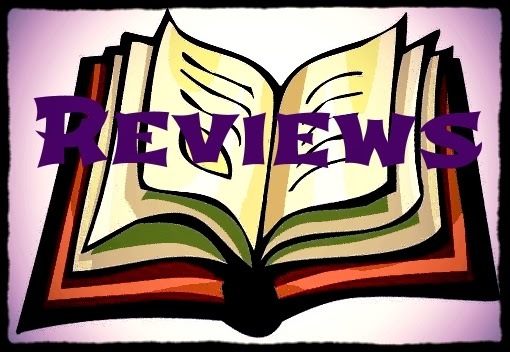 Reading and reviewing books is a favourite pastime of Elisa’s.